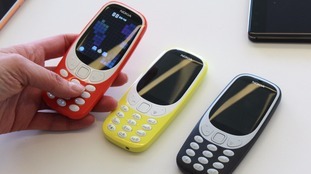 Nokia is set to relaunch its iconic 3310 mobile phone as it revealed a new line-up of smartphones in an attempt at revamping the company. An updated version of the beloved 3310 phone, which launched in 2000, will go on sale later this year and include the classic game Snake. The company said the device, which will not be able to access the internet, will cost 49 Euro (£41) and is aimed at people looking for a second or "burner" phone to make phonecalls. Nokia also revealed a new line of mid-range modern smartphones, like the Nokia 6 which was released in China at the start of the year, and the new Nokia 5 and Nokia 3. All four devices are aluminium, and each is shaped from an individual block of metal. They all run the latest version of Android, and the prices start at £117 for the Nokia 3, rising to £194 for the Nokia 6. HMD Global chief executive Arto Nummela said: "Nokia has been one of the most iconic and recognisable phone brands globally for decades. "Today's consumers are more discerning and demanding than ever before and for us they will always come first. "Our efforts in bringing together world class manufacturers, operating systems and technology partners sees us proudly unveiling our first global portfolio of smartphones with a Nokia soul, delivering the very best experience to everyone."